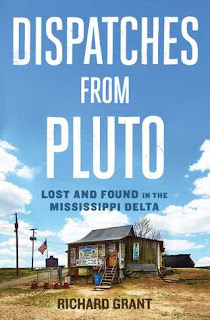 Audio Book Review - "Dispatches from Pluto: Lost and Found in the Mississippi Delta"
I guess Grant never reached Cleveland during his tour of the Delta, that vibrant community an antithesis of this liberal discourse on Mississippi race relations, overall poverty, and crumbling education. 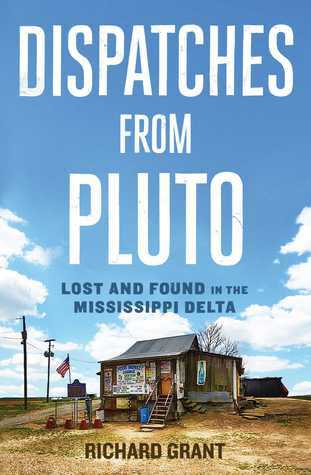 Regarding the English narrator's cadence in the audio book, it was often repetitious, and he sometimes mispronounced words including names of Mississippi counties, such as Bolivar. The narrator could have spent a little time on research in that regard. Of course, I grew up in Cleveland and Bolivar County, so I guess I'm partial. Grant's own hours spent in research and with live interviews of his subjects sets the memoir apart. His description of race relations is clear and accurate, showing that we Mississippians may actually be very high on that positive list. I envy Grant's knack to describe physical appearances and settings so beautifully although in this well-written, wonderful piece (unlike in fiction), he has the advantage of looking across the table at his real characters and breathing the true air of each setting. While the treatise on race does get long and deep, a happy ending is always a relief.